Philip Larkin, the greatest English poet of the second half of the past century (and a genuine Bond fan), reviewed Licence Renewed in the June 05, 1981 issue of The Times Literary Supplement. His review is really about Fleming’s legacy, and he makes the case–with more eloquence and insight than anyone since–for why Bond-continuation novels can never fully succeed in recapturing the old Fleming magic. His review deserves to be reread whenever a new Bond novel is released. 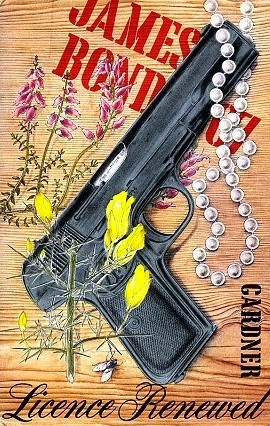 The first pseudo-Bond novel appeared in 1968, four years after Ian Fleming’s death: here, thirteen years later, is the second. At first this suggests, hearteningly, that James Bond has joined that small but select club of characters who have been brought back to life after the death of their creators simply because their readers want more of them. But thirteen years is a long time, and during it there has been ample reason to fear that Bond had floated (literally at times) out of the world of fiction into that of cinematic fantasy, which is not quite the same thing. As everyone knows, the Bond novels were an adroit blend of realism and extravagance, and both were necessary: the one helped us swallow the other. Because Sir Hugo Drax had red hair, one ear larger than the other through plastic surgery, and wore a plain gold Patek Phillipe watch with a black leather strap, we accepted that his Moonraker rocket could blow London to bits. The Bond films, on the other hand, dispensed with the realism and concentrated on the extravagance, becoming exercises in camped-up absurdity. In this way there became two Bonds, book-Bond and film-Bond, each with his own separate public. And a certain hostility arose between them: for the readers, the films were ludicrous and childish travesties; the viewers, if they had ever heard of the books, saw them simply as material to be guyed, perhaps deservedly. Since Gresham’s Law operates in the world of entertainment as well as anywhere else, it looked as if the films were winning. But here is another novel. Is book-Bond making a come-back? Ian Fleming has set his stamp on the story of action and intrigue, bringing it a sense of our time, a power and a flair that will win him readers when all the protests about his supposed deficiencies have been forgotten. He leaves no heirs. The last sentence has a double irony, for within three years Robert Markham’s Colonel Sun was published, and Markham was Amis himself. The experiment was an interesting one: Amis was both a first-rate writer and a Bond fan, and what he produced was a workmanlike job, though one reader at least blenched to find Bond drinking rosé with his cold beef, or with anything else for that matter. The local colour (Greece) was well boned up, and Amis gave the politics an original twist: Bond ends by receiving congratulations and thanks from Comrade Kosygin (shades of Rosa Klebb!). But in fact Amis could no more write a genuine Bond novel than Fleming could write a genuine Amis novel: literate pastiche and respectful avoidance of parody were no substitute for Fleming’s innate virtues. Nor was the experiment repeated: book-Bond was left in full retreat from film-Bond, the Batman from Blades. This seemed to be the way to provide an antidote to the snobby pseudo-sophistication of the Bond business. Looking back on it, that aim seems pretentious and, happily, Bond changed direction, the books becoming amusing send-ups of themselves when changed to film. The enormity of this statement in the present context needs no underlining. 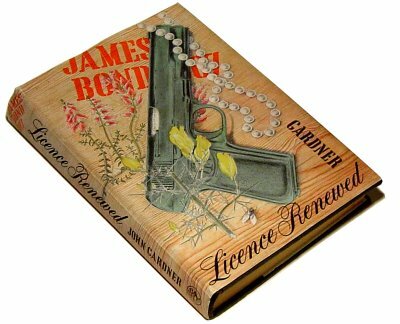 For Fleming’s publishers to hand over book-Bond to a self-confessed film-Bond man is like the MCC handing over Lord’s to Mr. Packer. Despite the reassuring Chopping-style* jacket of Licence Renewed, one fingers it fearfully, uncertain only as to how dreadful it is going to be. *The dust jacket – was in fact – illustrated by Richard Chopping. Fortunately Mr. Gardner is not as bad as his word, though he gets off to a stumbling start. Bond has, disastrously, moved with the times (Mr. Gardner only just avoids admitting that he must be pushing fifty). The double-O section has been abolished (though M only just avoids saying “You’ll always be OO7 to me, James”: shades of Bond Strikes Camp), and Bond drinks less, smokes cigarettes “with a tar content slightly lower than any currently available on the market”, and has abandoned the Mark II Continental Bentley for a foreign car with tear-gas ducts in all four wheels. On the other hand, May still reigns in the flat off King’s Road, the breakfast routine is unchanged, and press-ups and target practice are regularly observed. Bond’s adversary on this occasion is Dr. Anton Murik, who is planning to justify his own rejected Ultra-Safe (it isn’t) Reactor by causing six existing reactors to go wild by switching off their coolant systems. Murik, who is a Fellow of St. John’s College, Cambridge and “not unlike…the late Lord Beaverbrook,” is Laird of Murcaldy in Ross and Cromarty, and is helped in his fell designs by Franco, an international terrorist, and Caber, a sort of Harry-Lauder Oddjob (“I’m still behind ye, Bond, with the wee shooter”). Bond has a wrestling-bout with Caber at the Murcaldy Games, and lays him out with a whiff of Halothane thoughtfully provided by Q Branch, but even before this has given him the Ganges Groin Gouge, a tactic seemingly in defiance of the Cumberland or Lancashire styles more likely to be observed there. The action is of the Diamonds Are Forever pattern: Bond sells himself to Murik as a potential accomplice, and learns what is going on, or going to go on, at Murik Castle before being rumbled. A vain attempt to escape is followed by torture; being carted off to Perpignan, which seems to be the nerve center of Operation Meltdown, as the nuclear reactor project is called; and finally a “ring-side seat” at that event in Murik’s giant Starlifter aircraft. It all briskly enough done, without too many film-Bond absurdities, but the temperature obstinately refuses to rise. It is hard to see why. Mr. Gardner has created a simulacrum of the Bond world with none of the threatened mockery, but despite his sincere and conscientious efforts it just will not come to life. The obvious reason for this is that Mr. Gardner is not as good a writer as Fleming. It is not so much the small illiteracies (“ravage” for ravish, “a fine patina of flour”) or the slightly larger clichés (“Bond so far had not been able to savour the views or delight in the beauties of Scotland”), nor even the occasional echoes (Murik’s ultimatum to the world recalls Blofeld’s in Thunderball); it is simply that Mr. Gardner cannot command that compelling readability noted by Lyttelton in 1957 and yielded to by many millions since. The foiling of Operation Meltdown is stolidly achieved; the separate fate reserved for Dr. Murik has none of the satisfying ghastliness attending the demises of Dr. No and Mr. Big. The trouble is that to resurrect Bond you have to be Fleming, for he was his creator in a way that Tarzan or Sherlock Holmes or Billy Bunter clearly weren’t theirs. It was Fleming who smoked seventy cigarettes a day, wore dark blue Sea Island cotton shirts and loved scrambled eggs and double portions of orange juice for breakfast; Bond was a kind of döppelgänger sent out to enact what Fleming himself had never achieved (this relation is convincingly analyzed in John Pearson’s masterly Life of Ian Fleming). The ease with which Bond appeared (Fleming, forty-three, never having written a novel before, sat down and wrote Casino Royale in eight weeks) suggests the tapping of deep imaginative springs. And the novels that succeeded them drew on the same dark source: “the next volume of my autobiography,” he would call the book currently in progress, masking his personal involvement by mocking it. Of course, the springs were not inexhaustible; by Thunderball (1961) Fleming admitted he had “run out of puff,” and his last five books are not as good as his first seven. 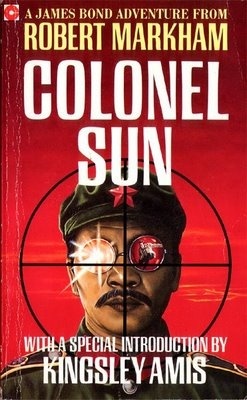 But since they were instinct with a personality much more complex, much more imaginative than Bond’s—the personality, in short, of Fleming himself—they remain alive in a way that Colonel Sun and now Licence Renewed cannot hope to do. Why then persist in trying to raise book-Bond from the dead, if such efforts can never succeed? The prospect, no doubt, of making money for somebody; perhaps—the ultimate grisly irony—the necessity of providing new vehicles for film-Bond. But one would like to think that there is also an element of homage, and a faint hoping-beyond-hope that one day the sorcery will really work, and we shall be rewarded with another unmistakable installment of the latest—perhaps the last—of the Byronic heroes. Special thanks to Revelator for this article. I remember reading this back when ‘Licence Renewed’ was published and thinking that Larkin was being a little unfair to both Kingsley Amis and John Gardner albeit he makes some good points. Firstly, it should have been published under Kingsley’s own name. To publish it under a pseudonym was nuts — it destroyed any literary credibility and many people avoided it because they thought Amis was ashamed of it and that he’d somehow been coerced into some unworthy commercial prostitution. Secondly, the timing was lousy. It was neither close enough to Ian’s demise to benefit from Fleming’s momentum nor was it sufficiently distanced to benefit from Bond nostalgia. I say he was unfair to Gardner because given the constraints of an ’80s reboot, I think John made a good fist of it — certainly for his first five 007 novels. The fact was that Bond himself just didn’t ring true in the 1980s — the literary spy world had moved on and the novels lacked relevance to that time. This is were Larkin is correct because the real issue was and remains the fact that literary Bond only works as a character firmly rooted in a pre-Beatles 1950s England. So much of his charm and raison d’être depends on this and this is partly why the ‘Young Bond’ franchise has done so well. 80s Bond must have felt very anachronistic to the general public and the pseudonym was a big mistake. I would love to see CS re-published with a foreword by his son Martin and perhaps some comments from the publishers.